Even the smallest wish can be dangerous. That’s why the Collectors are always keeping watch. It's the first book in a two-book series from Jacqueline West, the New York Times–bestselling author of The Books of Elsewhere series. For fans of Serafina and the Black Cloak, The Isle of the Lost, and The Secret Keepers. Jacqueline West, author of the New York Times–bestselling Books of Elsewhere series, draws readers into a story about friendship, magic, and the gray area between good and evil. 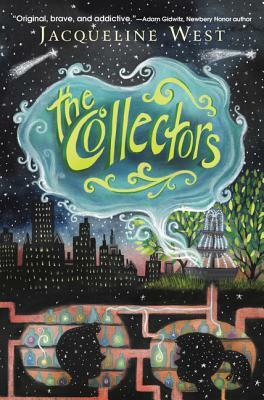 The Collectors is for fans of Cassie Beasley’s Circus Mirandus and Jonathan Auxier’s The Night Gardener.